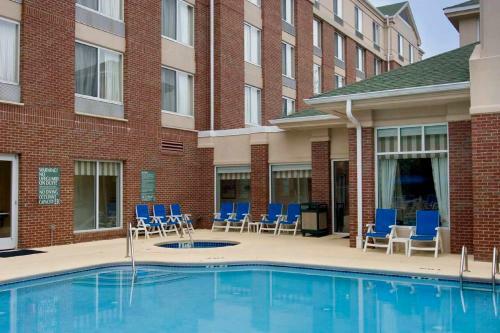 Description This Duluth, Georgia hotel has an outdoor pool, free internet access and non-smoking guest rooms. 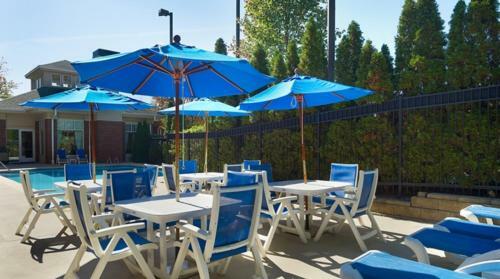 An outdoor pool and hot tub free Wi-Fi and on-site dining are a few of the great amenities you'll enjoy at the Hilton Garden Inn Atlanta North/Johns Creek. 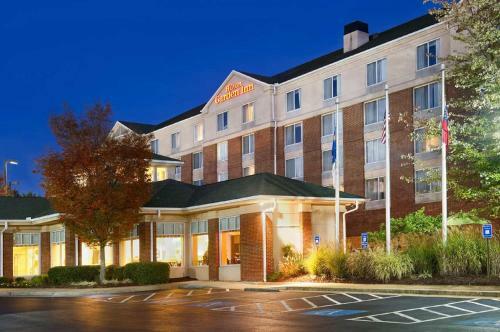 This five-floor non-smoking hotel offers 122 spacious sunny rooms with fluffy comforters ergonomic desk chairs and free Wi-Fi access. 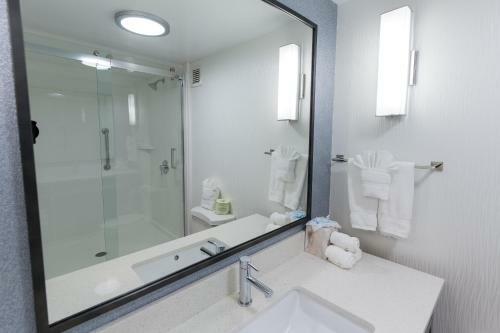 Relax on the sundeck by the outdoor pool and hot tub or work it in the well-equipped fitness room or on the jogging track. 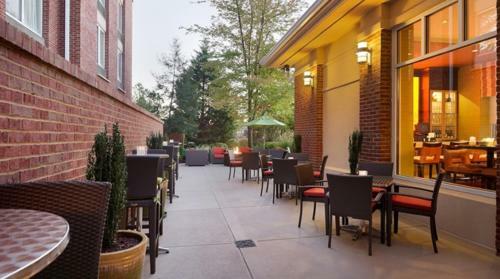 The property also offers meeting space a well-stocked convenience pantry and an on-site restaurant with high ceilings and large windows looking out over the grounds. 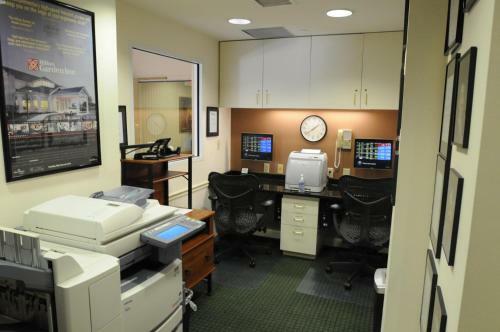 If you have some paperwork to finish up take advantage of free remote printing to the hotel's 24-hour business center. Parking is free as well. 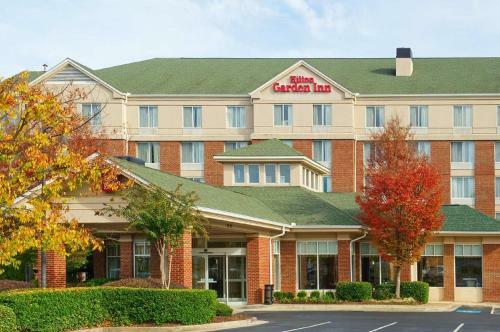 Conveniently located in Johns Creek Technology Park and within walking distance of restaurants the Hilton Garden Inn is a half-mile from the Johns Creek shopping center. Events at the Gwinnett Center and Arena are eight miles away. 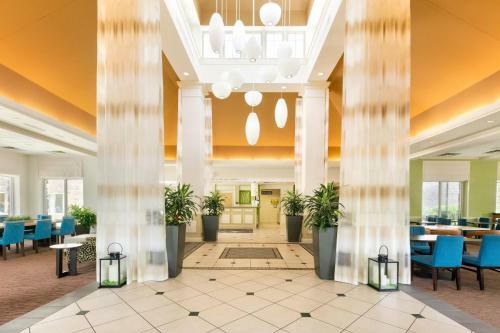 It's 31 miles to downtown Atlanta and 40 miles to Hartsfield-Jackson Atlanta International Airport. 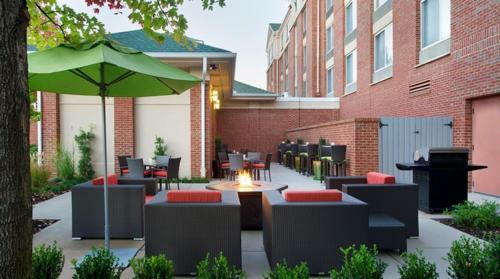 Add Hilton Garden Inn Atlanta North/johns Creek to your free online travel itinerary.